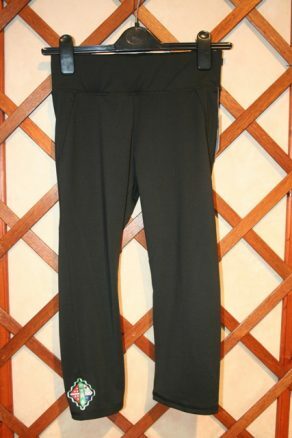 Wellington Junior Girls Gym three quarter leggings. Details: Just Cool`s own CoolFit Poly Spandex Elasticated smooth waistband Slimline 3/4 length Hidden Key pockets at front Flat seam for less irritation. The 3/4 leggings have the Wellington School Logo on the leg just above the hem.